Choice of three different distances to satisfy everyone’s needs! 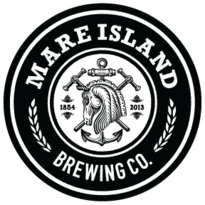 All run courses will start from the Mare Island Brewing Company and stay on the island for the entire race. Our Half Marathon course will take you along the historic naval yard on the east side of the island, to the highest point of Mare Island for beautiful views of the Bay, Mt. Diablo, and Mt. Tamalpais. It will then run you down by the Old Admiral housing and out to the Mare Island portion of the San Pablo Bay trail on the western side of the island. The 10K willKeep Reading take you by the Old Admiral housing and the San Pablo Bay Trail before heading to the finish. The 5K race will run by the Old Admiral housing before heading to the finish. All courses are still going through the approval process and some tweaks may be made, but the overall feel for the race should not alter too much. Parts of the run through the San Pablo Bay Trail are unpaved. All participants will receive a tech shirt and finishers medal. Awards will be available for Male and Female of every category that has a minimum of three entrants. Teams will be awards in one mixed category and will also need 3 team entries for awards.